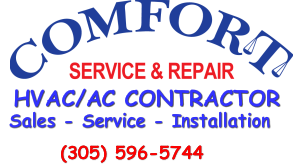 Thank you for considering COMFORT SERVICE AND REPAIR, to repair your HVAC system. 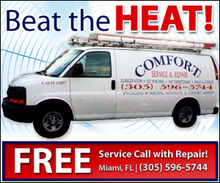 We know there are so many South Florida repair companies to choose from and would like to take a moment to explain why COMFORT SERVICE AND REPAIR is the best choice. We, hope to build your trust and establish a long term partnership with every customers. Once you approve one of the repair options presented, we will waive the service call fee and perform the work immediately. We focus on keeping our technicians highly trained and on making sure we exceed our customers expectations on every job that we perform. ALWAYS READY, TO GET THE WORK DONE!